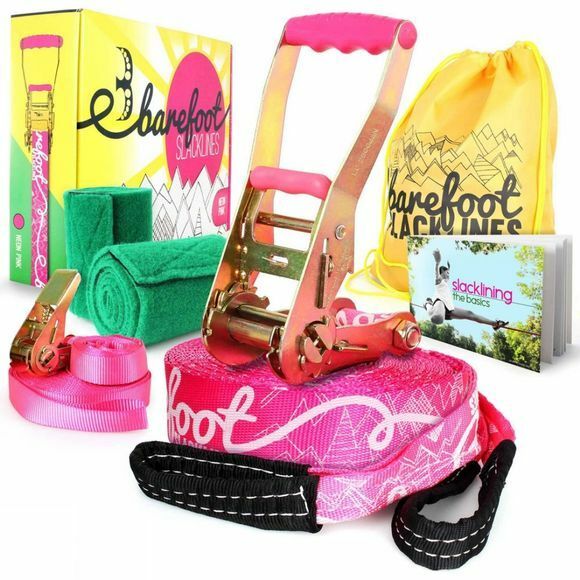 The Barefoot 15m Slackline is perfect for beginners to pros alike, looking for a fun, alternative activity to enjoy outdoors! Slacklining was originally designed to help rock-climbers improve their core strength, but it has turned into an incredibly fun and popular sport in its own right, especially as the equipment is super portable as well as the impressive tricks that can be performed. 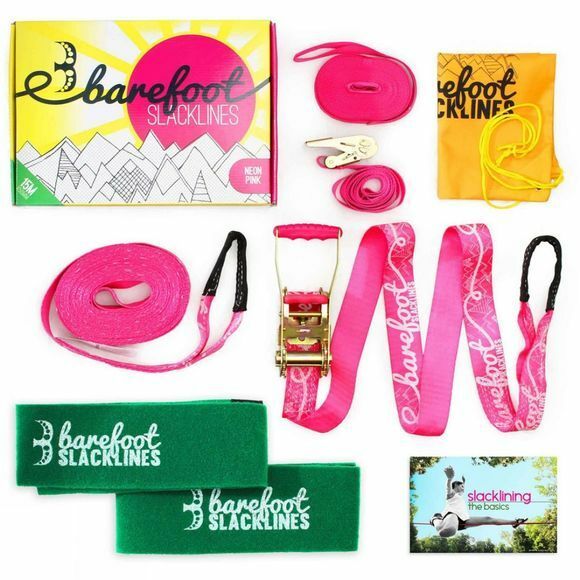 The slackline itself is printed with a super grippy pattern, and includes a training line to help with your balance when you're starting out. The set-up guide and training guide help get you get off the ground, and the set is completed with two easy-to-use tree protectors to prevent any damage to the bark.